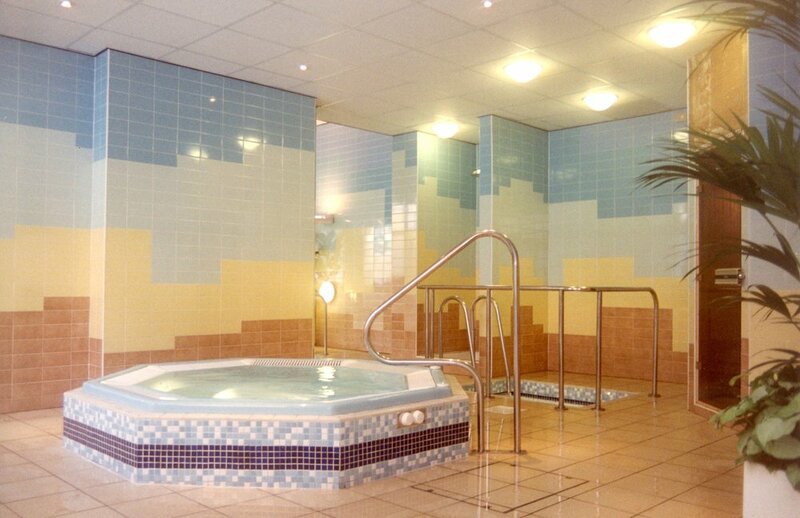 We installed this deck-level fully tiled spa for the first 5 star hotel in York. This was part of a major installation, which included the installation of a swimming pool, sauna and steam room. This project involved the creation of a leisure complex within a listed building. Despite the building being extremely narrow, the architect found space for a 10m long pool with a spa suite at one end. The photograph shows the deck level commercial spa with an adjacent cold plunge pool and sauna. 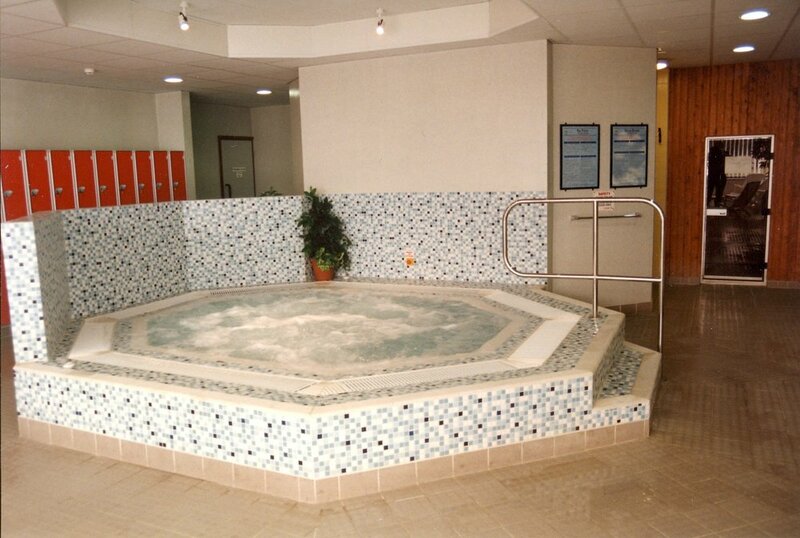 This luxury spa area was constructed as an extension to a local authority leisure centre. The spa area included the main spa together with a sauna and a steamroom. This 2.2m diameter spa was constructed as part of an indoor domestic project. The spa is constructed from reinforced concrete and finished with an iridescent glass mosaic, with a stone surround.